The WHO Data Quality Review Toolkit, a methodology for assesing the quality of routine health information system data, applies a framework that examines four dimensions of routine data quality – completeness and timeliness of data, internal consistency of reported data, external consistency of routine data with other sources and external comparisons of population data – and includes supporting analytical tools in Excel and DHIS-2 app formats. 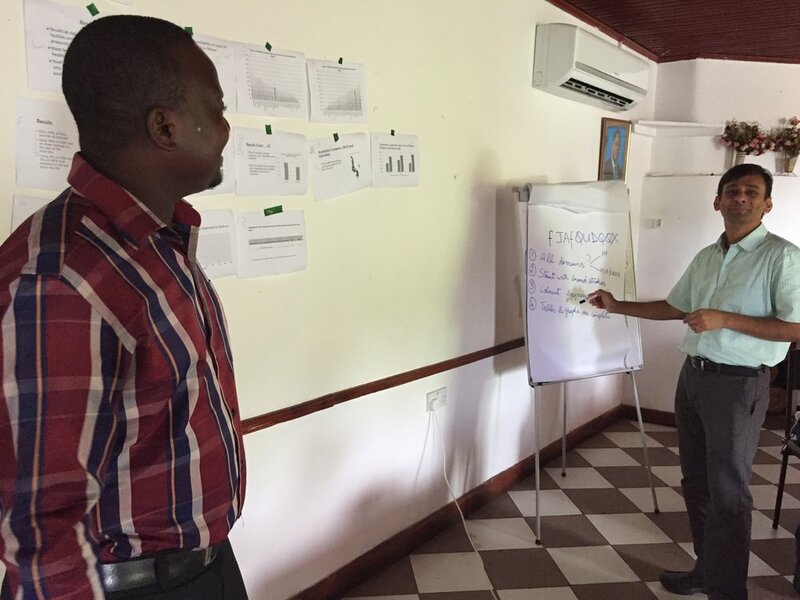 NEP teams in Malawi, Mali and Tanzania used an adaptation of these tools when incorporating DHIS-2 data in their analyses. NEP developed Stats Report data visualization functions to report findings from data verification activities carried out in health centres. More information can be found in the WHO’s Data Quality Review: A Toolkit for facility data quality assessment (http://www.who.int/healthinfo/tools_data_analysis/en/).